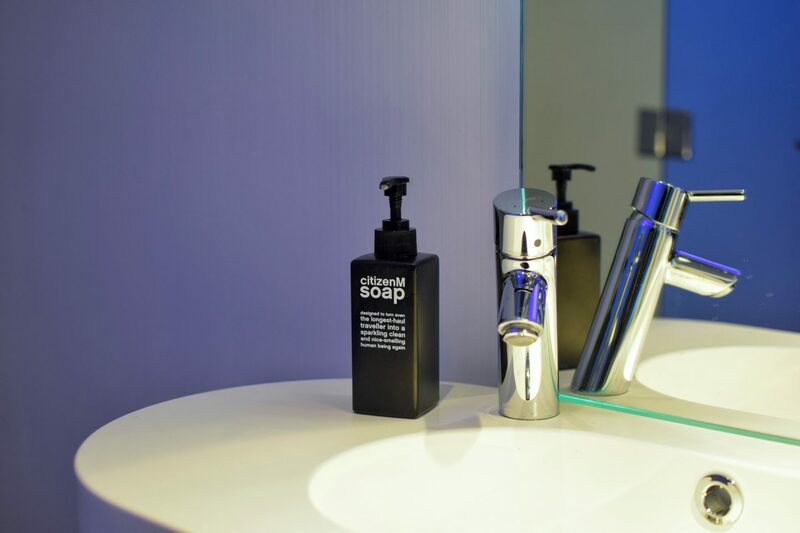 CitizenM is not like any other hotel chain you have ever been to. It’s a new breed of hotels found in the coolest cities of the world (New York, London, Paris, Amsterdam, Taipei to name a few!) that has one and only aim, to create “affordable luxury for the people”. What does that mean? CitizenM simply focuses on the things that our modern generation values and looks for the most in a hotel stay. I am talking contemporary design, tech-friendly furnishings, convenient locations and most importantly fast internet (… and I mean very fast internet!). 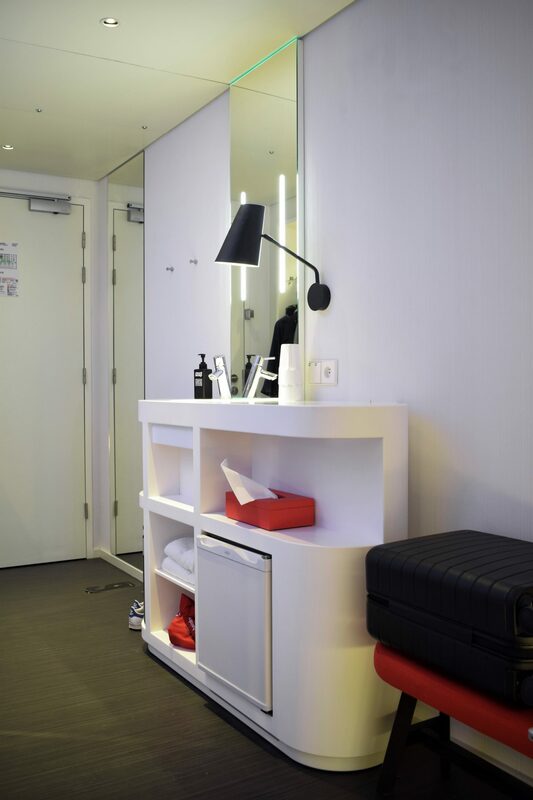 In my recent trip to Paris, I got to stay at the CitizenM Gare De Lyon ( a train station with great connection to the center of the city) and had the chance to experience this new kind of hotel luxury. From the minute you step into the hotel, you can easily tell that CitizenM is not based on the same type of hospitality we all know. Don’t get me wrong, I am not saying it in a bad way… The staff is always there and ready to help but there are also a lot of things that are expected to be done by you. 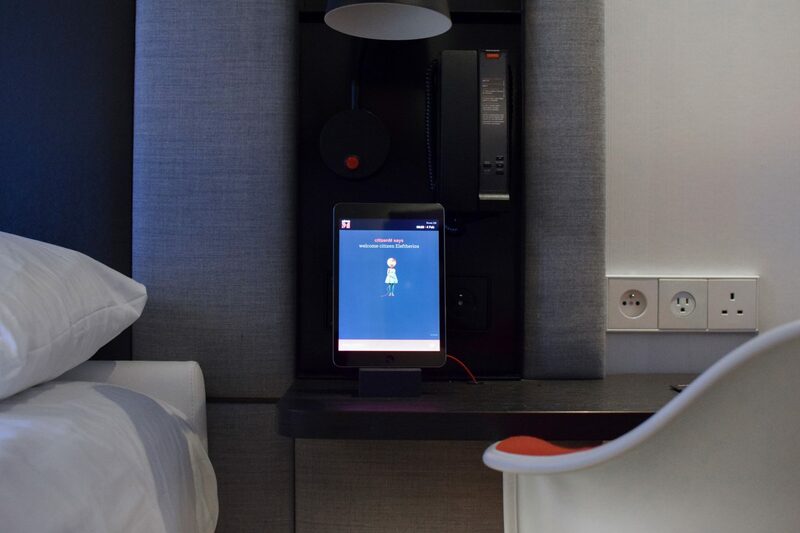 Everything in CitizenM is designed around functionality and efficiency and as a customer, I have to say that it works great! The check-in is done through the self-service touchscreen terminals located in the lobby and is super easy and fast to do. The whole first floor is an open space area which also includes a living room space with comfy couches, a TV and free iMacs to use and the CanteenM which is a 24-hour bar serving everything from breakfast in the morning to delicious cheese/meat platters at night. The atmosphere is overall very relaxed which makes it a great place for either work or leisure. The rooms, although small in size, are fully equipped with everything you may need to. The confined space does not compromise on any of the important amenities as the rooms include everything from a workspace to a wardrobe to a seating area which I used to unpack my luggage. 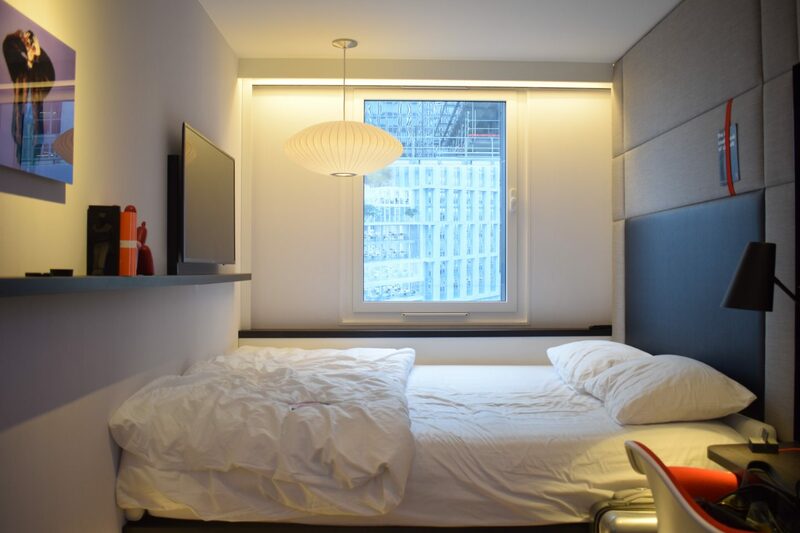 What I really liked about CitizenM is that all the 300+ rooms are all equal in size and layout, the only thing that changes is the view – which you can request during your check in! That means that each room is equipped with the same XL king size bed, a rain shower and universal plugs for your devices (which I found very thoughtful as adaptors are always such a hustle to find!). However, the best and most exciting feature of the room is definitely the innovative tablet found next to the bed called moodpad. 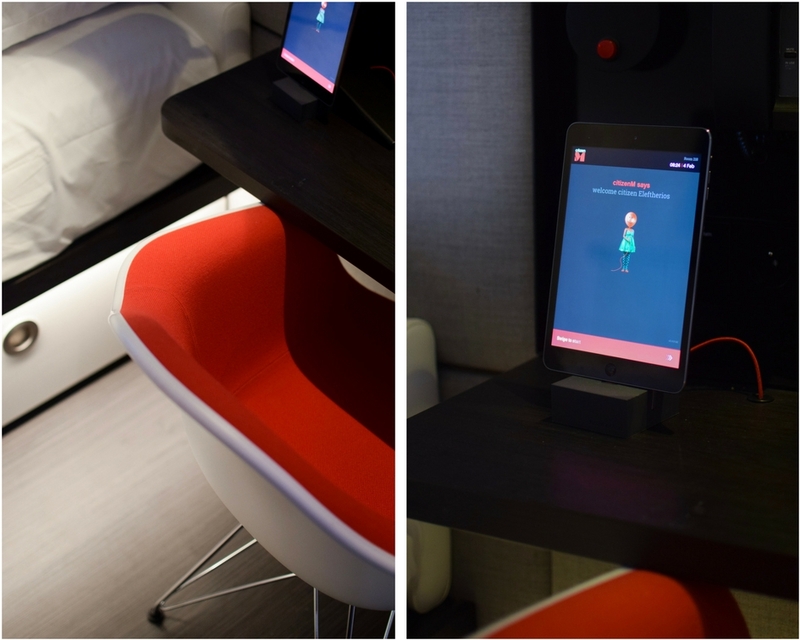 With the moodpad, you can control the entire room with the touch of your fingers. And when I say the entire room, I really mean it! You can use the TV, adjust the window blinds, regulate the room temperature and even change the color of the lighting, all from the comfort of your bed. You can even use it to set up an alarm clock and decide how you want to be woken up based on lighting and music( highly recommended!). How amazing is that? It was the first time using one of these and I spend a good hour playing with it before leaving the hotel room. The shower was so fun to use. Putting on party mode on the moodpad turned the bathroom into a disco with changing lights! I am absolutely thrilled with my first experience at CitizenM. The hotel premises are a great place to relax and the rooms are designed with great attention to detail to ensure a stress-free and convinient stay. I particularly loved the quirky and modern touches in the room and although the size may be of an issue to some, the low prices of the hotel make it a great value for its money. 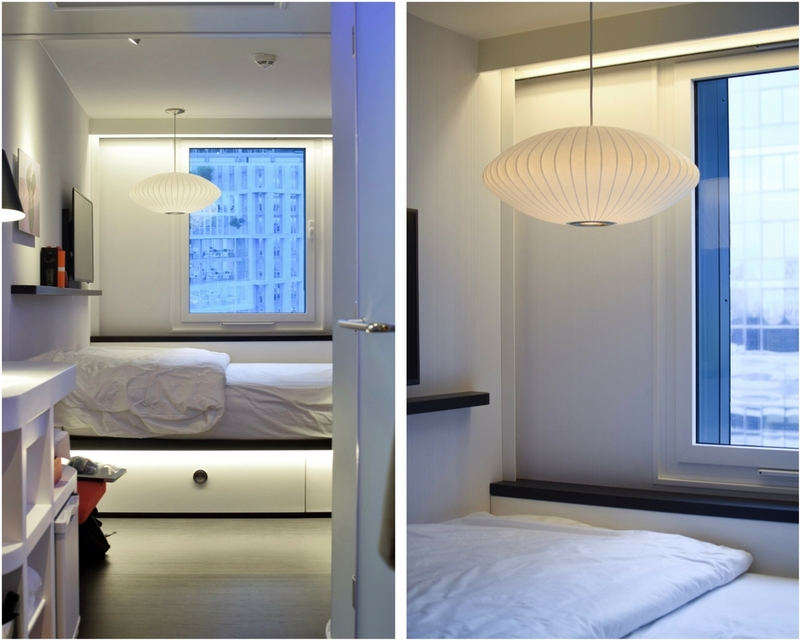 Overall, I would definitely choose a CitizenM again for my next trip to a big city ( hopefully it will be New York, hah!). 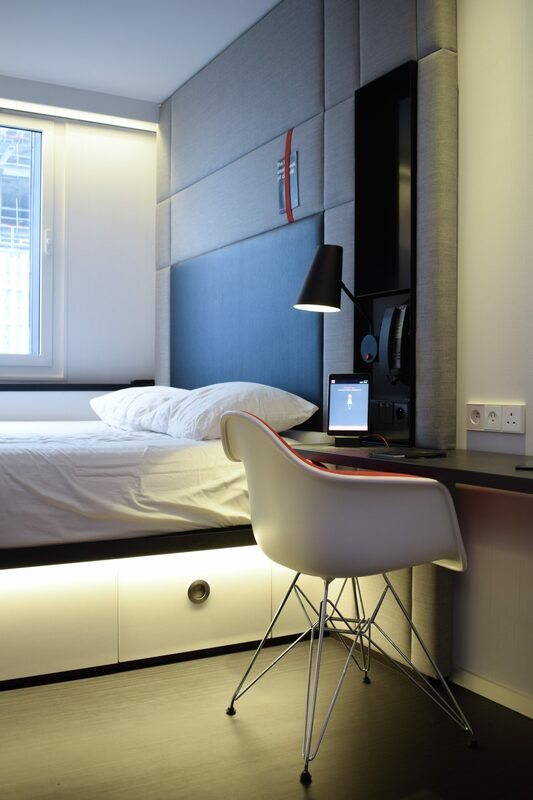 Prices for CitizenM Gare De Lyon start from £89. Book your stay here . Disclaimer: I was offered a one-night complimentary stay for the purpose of this review, however, all opinions are my own. Wouldn’t have believed this hotel was this afordable!! amazing post! cant wait to visit here. 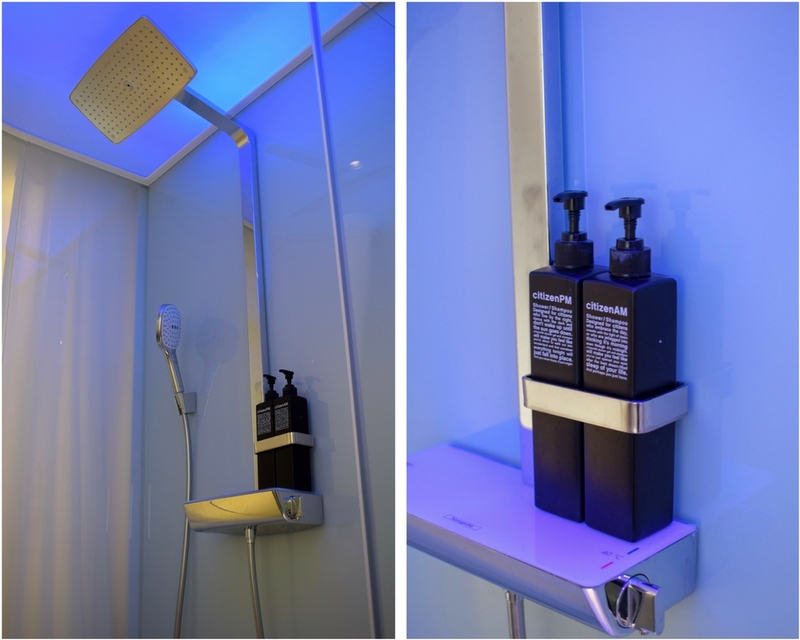 The shower looks soooo cooooool 😻😻😻 love the blog post !